Expand your riding climate range in comfort and style with the Alter Ego 4.1 thanks to the next generation MetaSport II System. A three layer system comprised of a C.E. 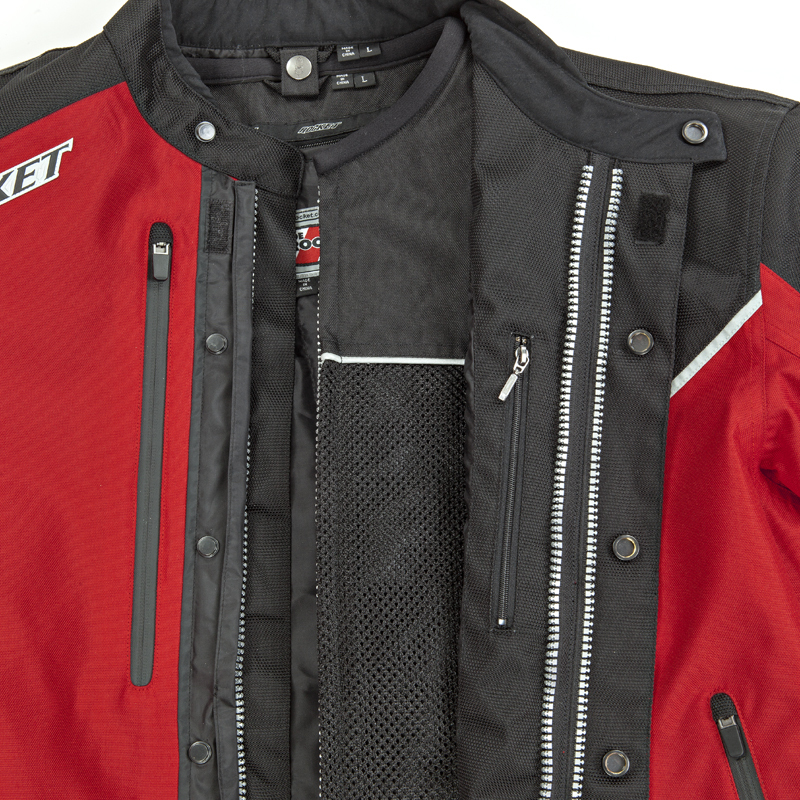 armored, Free Air™ mesh inner jacket that easily transitions to a fully WATERPROOF zip-on outer layer, and warm removable fleece vest liner for extra cold rides. Waterproof treated Rock Tex™ 660 and Hitena outer shell that covers an armored mesh jacket underneath!